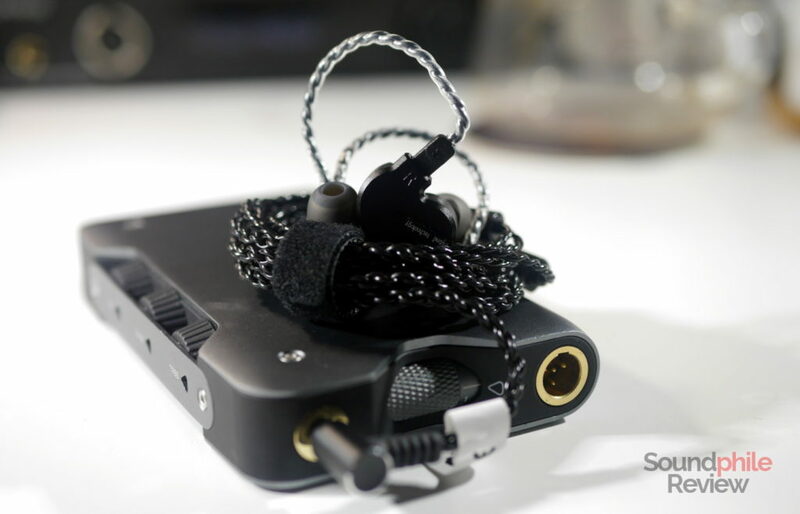 The BQEYZ KB1 is another IEM by the Chinese manufacturer that eschews the larger shells to settle for a smaller footprint without compromising on quality. The KB1 offers aluminium shells, detachable cable and an original design, adding a balanced response on top of that. Disclaimer: AK Audio provided me with a free sample. They sell the KB1 on AliExpress at $45. The BQEYZ KB1 offer the same accessory set as the other earphones by the company I already tried, so they offer a cable with a Velcro strap and three silicone eartips. It’s a down-to-basics offering which keeps things simple, for good or bad. 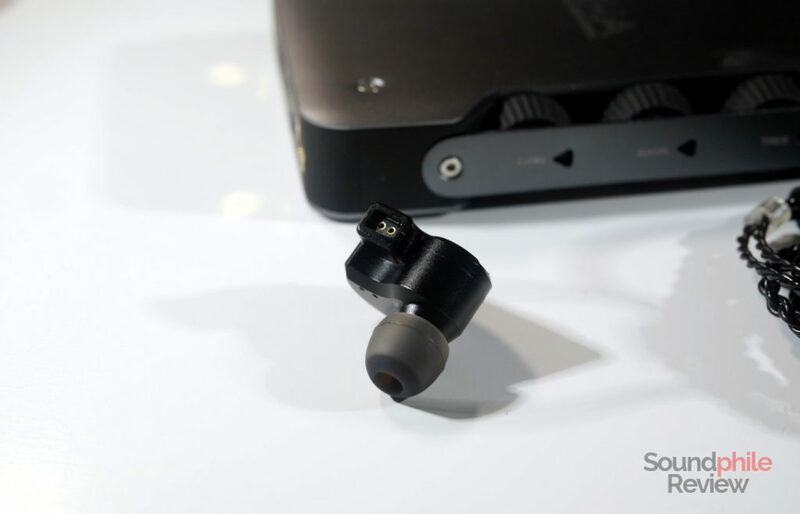 The shells of the BQEYZ KB1 are not exactly original in their appearance, as their shape is remarkably similar to that of the Yinyoo NY-06 (among others), but they’re still quite different from the usual shapes we see used for IEMs. 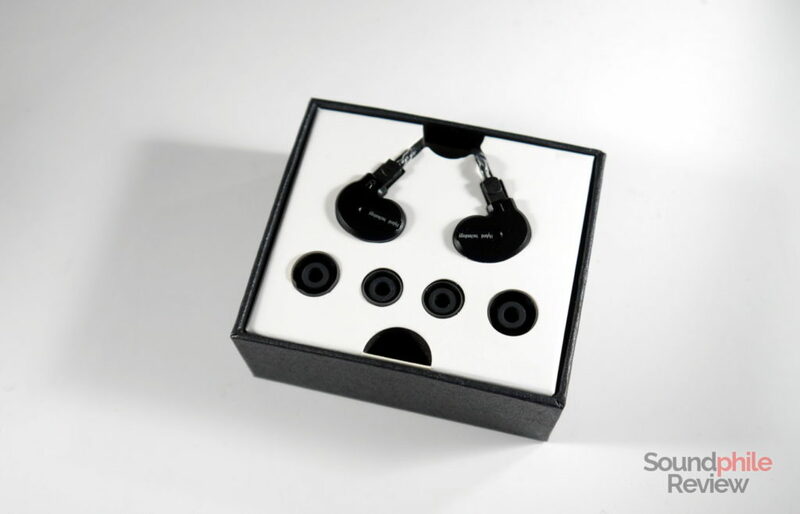 They’re rounded, almost shaped like a drop, with the exception of the protrusion that houses the 2-pin connector – that is squared. The connector is recessed, so it’s better to use cables with the corresponding protrusion (e.g. the Yinyoo brown 8-core silver plated cable). The shells are aluminium, with the nozzles are made of plastic. The faceplates are plain and flat with no distinctive elements on them. Build quality appears rather good, with no discernible flaws in how they are assembled. The BQEYZ KB1 is not the best in its class when it comes to isolation, but it’s still acceptable in that regard. It won’t eliminate all the noise coming from outside, especially the louder sounds, but it will at least reduce it to an acceptable level. It won’t be enough for the louder situations, which will require you to raise the volume. It’s certainly true that size got reduced from the BQEYZ earphones I reviewed previously, but that did not affect comfort that much, alas. The BQEYZ KB1 are still relatively large and the presence of clear-cut angles is an addition that means comfort is compromised for longer listening sessions. They won’t be suitable for smaller ears, but even for those with average-sized ears it may be a bit of a challenge to wear the KB1 for prolonged periods. 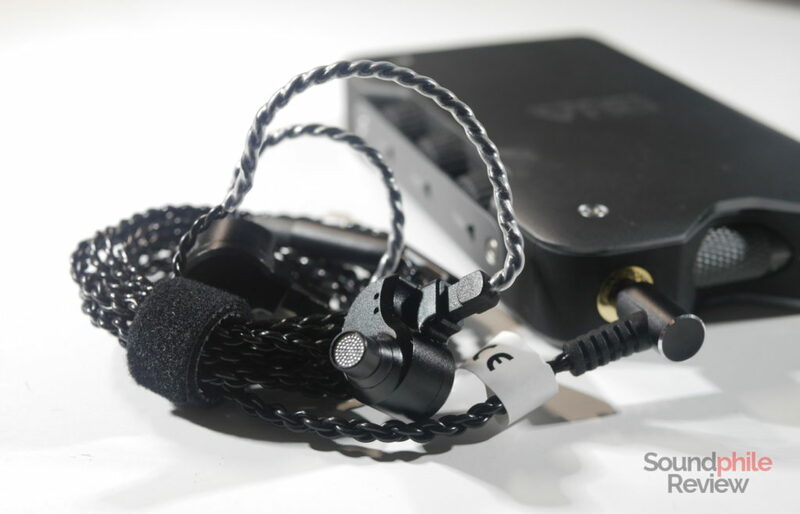 The cable is the usual one we’ve already seen in all the boxes of the other BQEYZ IEMs. It’s good, yet it has ample room for improvement: specifically, it is a bit flimsy and prone to kinks, and it also has a good amount of microphonics. It’s well-made, though, and it appears fairly durable and resistant. I tried the BQEYZ KB1 using a few different sources, but I mainly used a Topping NX4 DSD and an RHA Dacamp L1 linked to a xDuoo X10T-II. It was loaded with FLAC files, mainly in standard resolution. 100 hours of break-in (or burn-in) were applied. The BQEYZ KB1 uses a driver setup that’s similar to the one used by the K2 and KC2, but with a few key differences. While there are the same two dynamic drivers (10 mm and 6 mm), there is just one balanced armature instead of two. It also looks like the balanced armature is quite different in tuning from the ones used in the other products, so the resulting signature has a few key differences. BQEYZ did a fairly good job with the tuning of the K2, and the KB1 takes a slightly different approach to tuning by making it a bit more V-shaped. This is due to treble appearing further forward in the mix and therefore bringing more air to the sound. 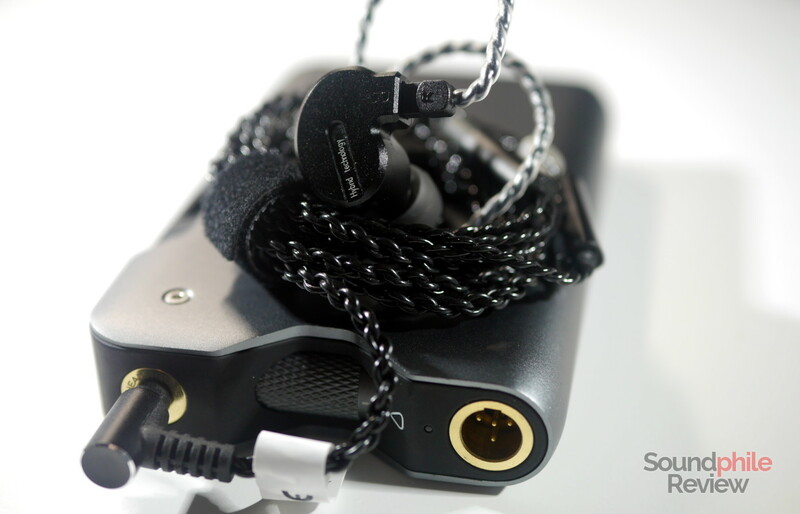 The earphones are still relatively limited in what they offer, especially when it comes to detail. Soundstage is fairly wide; it has sufficient lateral extension and a hint of depth, too, that make the sound present itself as if it was produced in a moderately sized room. Imaging is also good enough to offer positional cues that go beyond just left, right and centre, although its accuracy is limited anyway. Instrument separation, on the other hand, is more than decent, offering good distinction between the various parts of the track – even when there’s a lot going on. Bass is similar to that of the K2 and KC2: it is emphasised in the mid-bass area, so it is warmer than an ideally neutral bass would be. This emphasis is not excessive, though, so the resulting signature stays balanced. Depth is also good, as the dynamic driver reaches down to 40 Hz before a rapid roll-off. The lower section is vivid thanks to the use of dynamic drivers to produce it: with the right conditions, there’s a bit of that sensation of impact that gives bass physicality. It’s limited, anyway, and speed is not the drivers’ best quality, as they tend to mess things up when complex tracks are played. Detail is sufficient, even when there are multiple instruments playing, though the finer nuances are often lost in the mix. Midrange appears slightly behind in the mix and appears well positioned to me, with a tonality that seems edging towards brightness. The region bordering with treble is in fact emphasised, though the way this emphasis is done does not make the sound immediately apparent as bright. There’s a decent amount of detail, so I was able to hear many nuances – though the finer ones are lost. Like bass, midrange presents the listener with a bit of physicality that is welcome. I was surprised to hear little sibilance despite the added emphasis on the upper region. All in all it’s likeable, though its tuning can sometimes combine with the added emphasis on treble and make high-pitched instruments a bit biting. Treble has a sufficient amount of detail and it has a forward placement in the mix. It is not extremely extended nor incredibly detailed; in the contrary, it is rather average in both regards. Still, I deem it more than sufficient to give the sound signature the necessary counterbalance to bass, together with enough detail not to feel treble is a mash-up of sounds. Having that said, detail is not exempt from criticism, as it is sufficient but it never goes beyond that – the relatively low extension (and fast roll-off) also causes it to be lacking in depth and not to show the smaller nuances. It is emphasised in the lower region, right where it connects to midrange, and this can sometimes become fatiguing. The BQEYZ KB1 are not what I’d call “relaxed”. On the contrary, thanks to the emphasis on the upper area, they’re quite vivid and energetic. Their good bass response makes them good for most genres, although I would say the more bass-heavy ones or those that favour warmth are not best rendered by these headphones. Tin Audio T2: if we take aside all preferences regarding the tuning, the T2 are way better than the K2 on practically all fronts. The detail retrieval, speed, soundstage, imaging, instrument separation… everything is better on the T2. The only aspect where the K2 has an advantage is bass depth, as it gets deeper and with more volume than the T2. BQEYZ K2: the K2 is essentially identical to the KB1, but its treble is less emphasised. There are minor differences in the overall tuning: on the KB1 bass is a bit more emphasised in the middle region, midrange is less recessed and there is added emphasis on the higher region of midrange – and treble is more elevated, of course. All these differences are minor, though, so they’re not immediately apparent. The different tuning also makes soundstage a bit wider, while instrument separation and imaging are practically indistinguishable when compared. 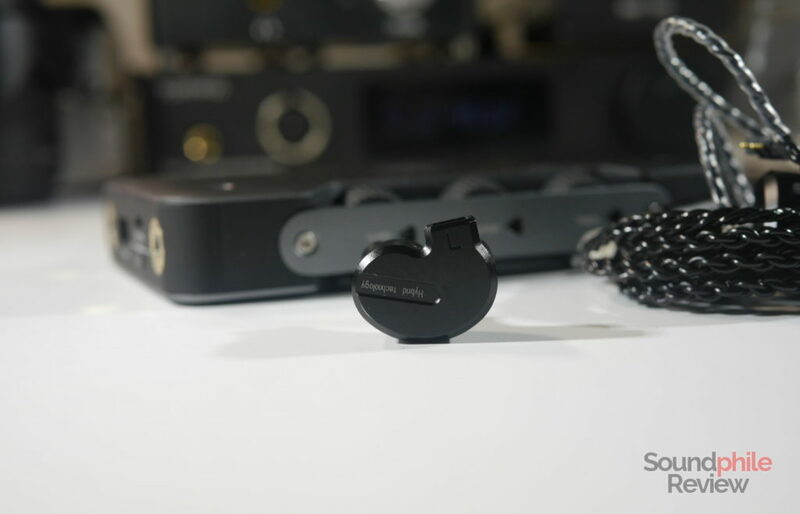 RevoNext QT2: the RevoNext QT2 are among the best IEMs in the budget scene with a V-shaped tuning, so this seems a natural comparison. The QT2 are much more V-shaped, with more prominent bass and treble and more recessed midrange. They are much clearer than the K2, with bass being more controlled and detail being better irrespective of the area considered. The QT2 just blow the K2 out of the water when it comes to technical ability: soundstage is larger, imaging is more accurate and instrument separation is way better. The only notable difference between the BQEYZ KB1 and the K2 is treble, as everything else seems similar enough to be almost identical. That’s because the headphones actually use the same drivers, with little tuning to differentiate them. The boost in treble presence is a welcome one, though it is not perfect by any means and it comes with little extension anyway (and a boost in the upper midrange, too, which can be annoying if you are sensitive to it). So the BQEYZ KB1 may not be perfect, but they’re still largely enjoyable as an affordable workhorse if you can put up with their (admittedly not too many) flaws.